The Birmingham art space TROVE has put out a call for short film works based on the catalogue of legendary filmmaker James Whale. Side note: my favorite Whale film is The Old Dark House from 1932 (see image – that’s Karloff’s hand!). See the call below and also see a previous post on The Girl Who Knew Too Much about Spanish experimental filmmaker Ivan Zulueta’s seminal time-based work Frank Stein (1972). TROVE is an independent art space in Birmingham, UK. They run a monthly changing programme of contemporary art. This August (5th-7th August 2011) TROVE will be holding a mini film/performance festival based on the works of James Whale. A film Director born in the Black Country (Dudley, West Midlands) who moved to Hollywood, USA, and made several of the worlds most famous horror films, including Frankenstein (1931), The Bride of Frankenstein (1935) and The Invisible Man (1933). TROVE are inviting you to submit either proposals for or examples of finished short film pieces that fit the themes James Whale explored in his film back catalogue. Thanks Darren for the heads up! 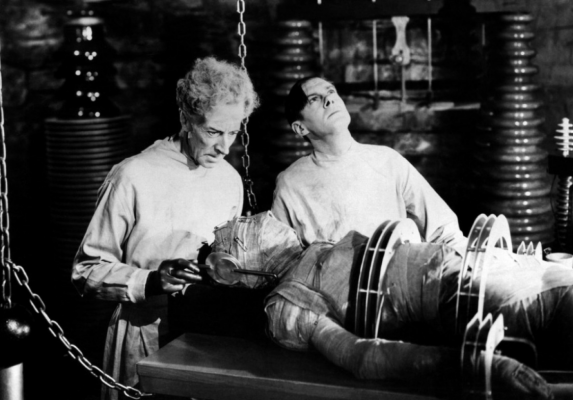 Forty-two years ago horror legend Boris Karloff passed away. Best known for his role in James Whales’ Frankenstein (although I love him best in Mario Bava’s Black Sabbath) Karloff created an image of a complex, self-referential monster that has evolved throughout the decades. In honour of the man, I’ve included below some brief writing on the influence of Frankenstein in relation to Spanish filmmaker Iván Zulueta’s 1972 experimental film Frank Stein. The absorption of the cinematic within Iván Zulueta’s work, Frank Stein and King Kong among them, reacts to the political and social constructs of the 1970s. This is why his version the ‘Frankenstein’ story as subject is so fascinating. Born in the 19th century in a novel by Mary Shelley (Frankenstein 1817), this monstrous tale has been told throughout the decades as a reflection on modern society. 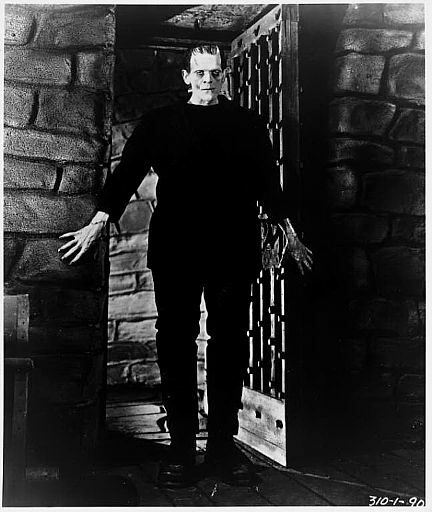 In the 1800s, the Frankenstein monster could be read as an allegory on the dangers of scientific explorations or fears of an expanding world. At the dawn of the new decade while the idealism of the 1960s waned, Zulueta’s ‘Frankenstein’ represents the confusion and lapsed innocence of this new world. That Frank Stein is filmed from a television broadcast remarks on the change in media consumption and how its accessibility began to blur the line between information and entertainment. Meaning can seemingly be projected onto this monster in any given era, thereby he perpetually symbolises the recycled, relevant, and rejuvenated spirit of the horror genre. Read more on Zulueta on a short essay I wrote from LUX called The horror film and contemporary art.